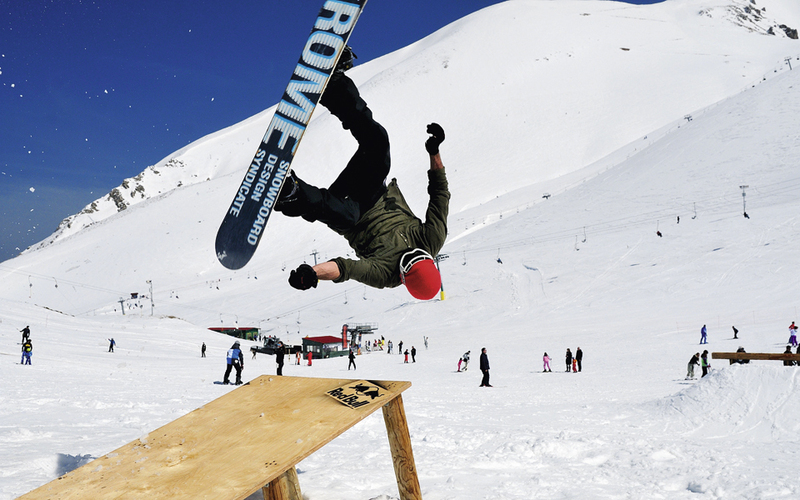 The Helmos snowpark offers three routes, obstacles and jumps, as well as BigAirBag cushioning for thrill-seeking snowboarders. 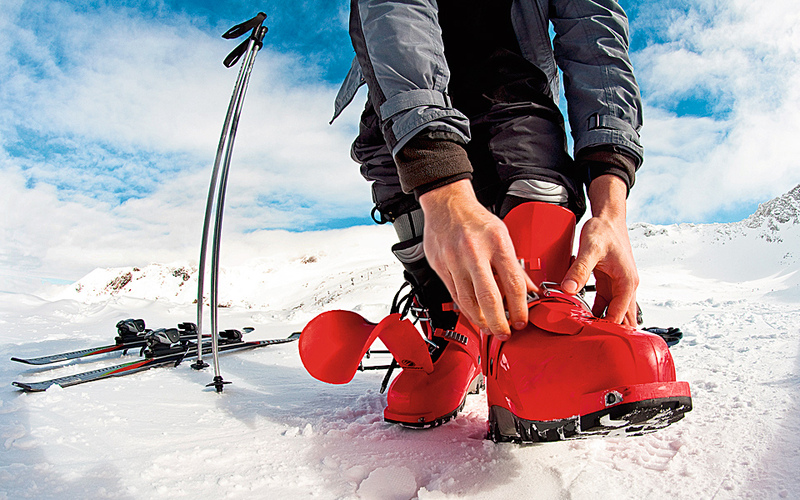 Many Greek mountains offer top-class skiing facilities and many other wintertime activities for all ages. One of Greece’s favorite ski resorts, due to its close proximity to Athens, quality of infrastructure and continuously improved services, Helmos is located 15 kilometers from Kalavryta and offers 13 slopes measuring a total of 22.7 kilometers. Of these, two are for children, one is certified for skiing competitions, while a fourth, at 3.2 kilometers, ranks as one of Greece’s longest slopes. One of the 13 slopes, a brand new natural course for cross-country skiing through the forest, is suitable for all ages. Night skiing, advanced routes, as well as a gorgeous off-piste route consisting of demanding segments due to its steep slopes, are all guaranteed to keep the adrenaline flowing. So, too, is the snowpark, which offers three routes, obstacles and jumps, and BigAirBag cushioning for thrill-seeking snowboarders. It is operated by a specialized team of extreme sports athletes. 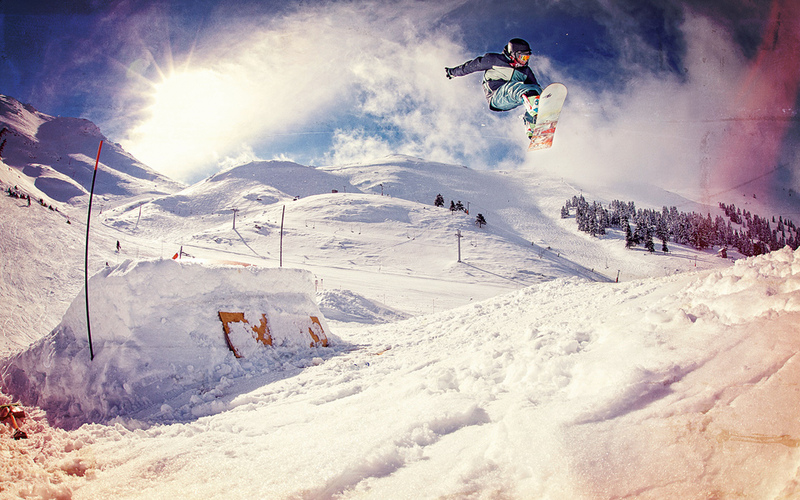 Last year, the snowpark hosted an international event organized by the World Snowboard Federation. 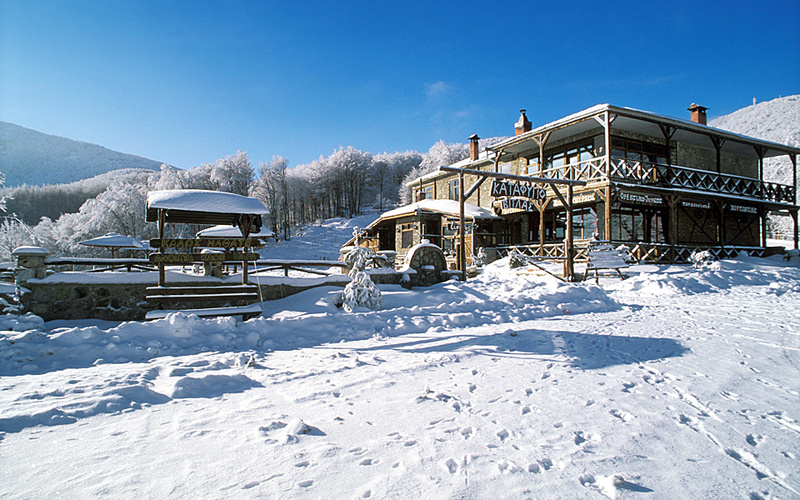 Bonus features at this ski resort include rides and excursions on snowmobiles and sleds, facilities for people with special needs, a transportation service from Kalavryta, all-inclusive packages as well as a website that allows visitors to custom-design their packages and make online bookings. Facilities: Chalet, canteen, skiing and snowboard lessons, equipment rental stores. Lift ticket: €25 on weekends, €15 on weekdays, with special prices available to snow bus uses (tel. +30 694.255.9996), students and competitive skiers. All-inclusive packages start at €30 and include accommodation, food, a ski pass and equipment rental. Parnassos' facilities at Kelaria and Fterolakka have been equipped with new ski lifts. The biggest and most popular ski resort in Greece, Parnassos has been undergoing revamp work in recent years. 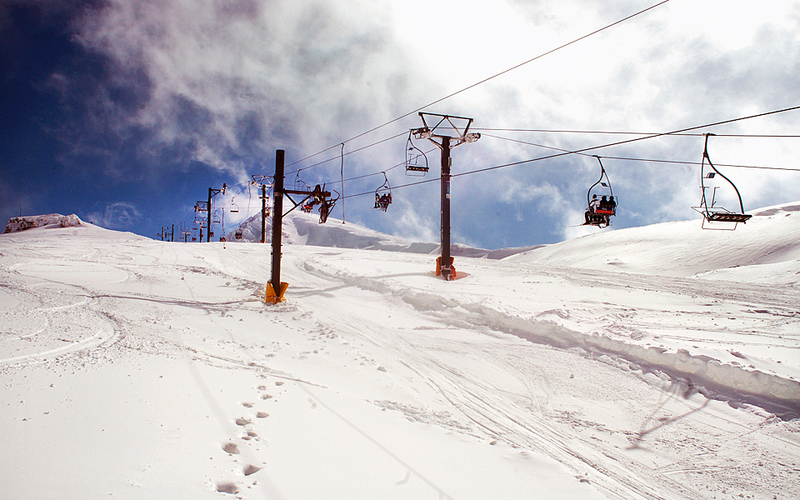 Its facilities at Kelaria and Fterolakka have been equipped with new ski lifts. The descents begin at 2,260m and reach 1,640m, while the slopes cover a total length of nearly 34 kilometers. Classic slopes of all degrees of difficulty are offered here. Four ski slopes are certified for competition, four cater for beginners, while four milder slopes are set aside for children. In addition, off-piste (backcountry skiing) courses are also on offer at this resort, which is equipped with a total of 13 ski lifts. Unfortunately, its snow fun park, sunset skiing options as well as online ticket purchasing services are all temporarily unavailable. Facilities: 2 chalets (Kelaria and Fterolakka), café, skiing and snowboard lessons, equipment rental stores and maintenance services. Lift ticket: €30 on weekends, €15 on weekdays. Afternoon tickets (after 13:00): €23 on weekends and €11 on weekdays. Discounts for students, multiple unit ticket holders. Fokida, Central Greece, 185km from Athens, 365km from Thessaloniki. Eighteen slopes of all degrees of difficulty, including one for snowboarding, are available at the Velouchi resort. Facilities: Chalet, ice bar, skiing and snowboard lessons, equipment rental stores. 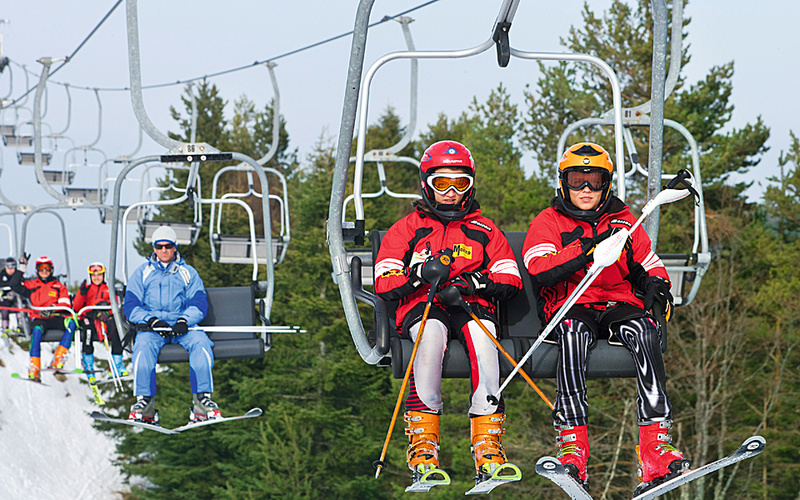 Lift ticket: €20 on weekends, €12 on weekdays, weekly adult pass €80–100. Lift-ride tickets €5. Student discounts. Karpenhsi, Central Greece, 290km from Athens, 370km from Thessaloniki. Located 12 km from Karpenisi in the Diavolotopos area, the spectacularly located Velouchi ski resort, which opened in 1975, is renowned for its good quality snow cover. Eighteen slopes of all degrees of difficulty, including one for snowboarding, as well as four off-piste courses, offering skiers additional adventure, are available at this resort. The experience is particularly captivating in the evenings, when floodlights illuminate the resort’s Thiseas and Takis Flegas slopes. Once the night skiing is done, skiers may head to the ice bar, which stages parties and events that are sure to warm up freezing temperatures. Αccommodation opposite the ski resort is available in a hostel operated by the Hellenic Federation of Mountaineering and Climbing. [Tel. (+30) 22370.251.30]. 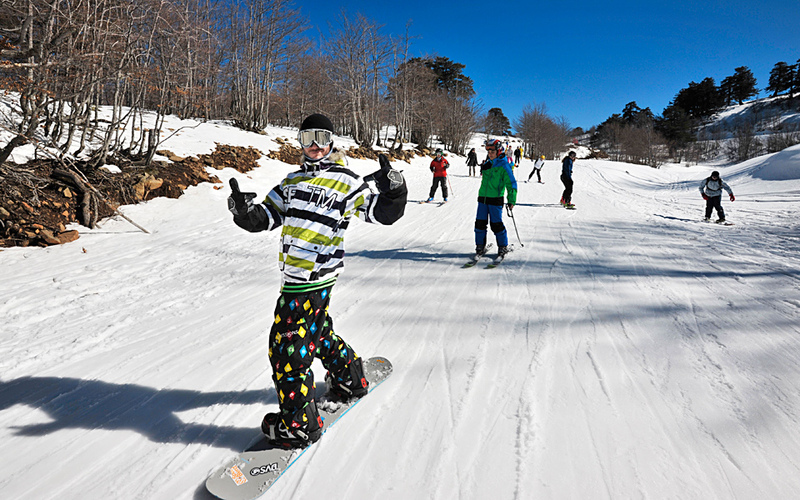 Pelion is a favorite resort for experienced skiers. Facilities: Chalet, skiing and snowboard lessons, equipment rental stores. 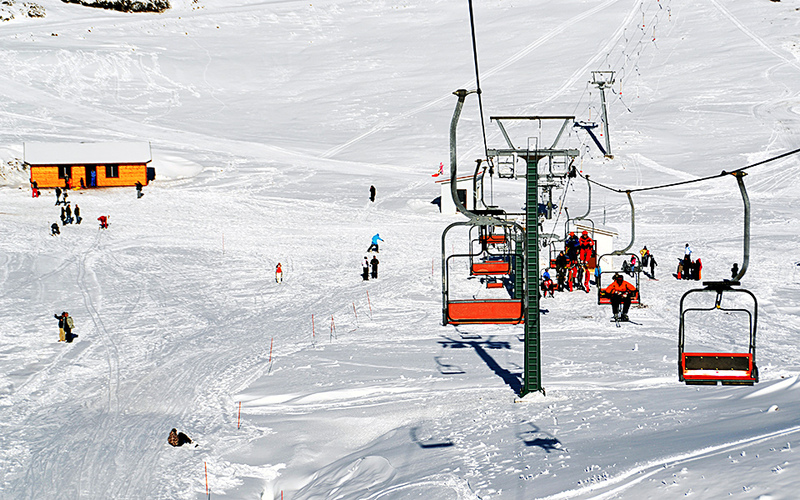 Lift ticket: €11 on weekends, €9 on weekdays. Afternoon tickets (after 12:30): €9 on weekends and €7 on weekdays. Student discounts. Pilio, Central Greece • 350km from Athens, 240km from Thessaloniki. Lailias is located amid a forest comprised of beech and fir at an altitude of 1,600m. This ski resort may offer just one slope but it does win over skiers on account of its beauty. It is located amid a forest comprised of beech and fir at an altitude of 1,600m, on the slopes of Mt Ali Baba (1,850m) in Lailias, just 27 kilometers from the city of Serres. The slope is 1.2 kilometers long and 60m wide. Its north-northeasterly direction helps it maintain a good cover of snow. Night skiing is also offered at this resort, the country’s only facility to have staged night skiing at a competition level. The slope’s degree of difficulty is rated as medium. An off-piste route, measuring 1.4 kilometers, as well as a long-distance route stretching 10 kilometers, are available for experienced skiers. The ice-climbing area is a definite bonus. 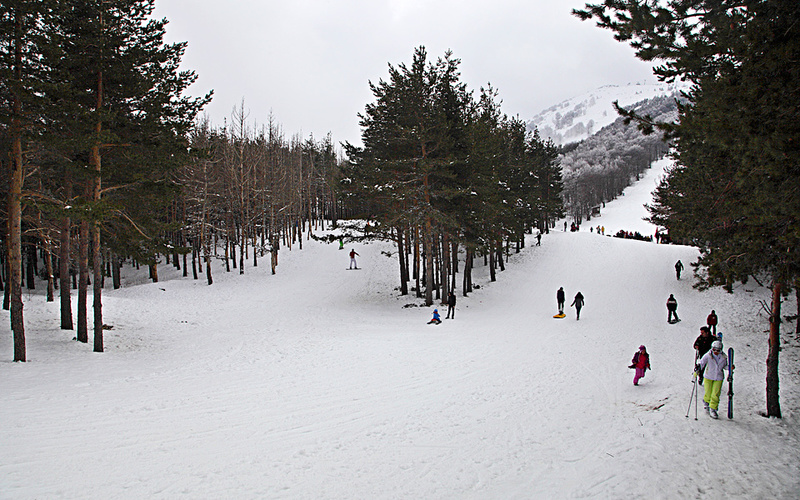 The ski resort, developed by the Serres Mountain Climbing Society, is open on weekends and holidays. It also serves as a starting point for marvellous hiking routes. Accommodation is offered at the retreat. The small ski resort of Ziria can boast a superb surrounding view from 1,500m altitude. A relatively recent and particularly small ski resort, Ziria can boast a superb surrounding view from 1,500m, and its short distance from Athens as well as Trikala, which is just 12 kilometers away. This ski resort offers one slope and two ski lifts, one of which is for children. Snowmobile rides at the fantastic plateau are also offered. Metsovo’s three small ski resorts vie to attract skiers from the wider Epirus region in Greece’s northwest. Located 50 kilometers from Ioannina, Metsovo’s three small ski resorts vie to attract skiers from the wider Epirus region in Greece’s northwest. The Anilio (Metsovo) ski resort in the Zygos area has five slopes, one of which is for children and another for snowboarding. A 1.2-kilometer off-piste route is also available, while children may also enjoy sled rides. The area’s second ski resort, in the Karakoli area [tel. (+30) 26450.413.45], offers two slopes of medium difficulty, one ski lift and a chalet. This ski resort caters for advanced skiers. No lessons are offered and there are no equipment rental stores. Finally, the third resort, in the Politsies area, offers five slopes as well as a long-distance course, a chalet, skiing lessons and equipment rental. Vitsi's lowest level is at an altitude of 1,400m, while the top end is at 2,020m. Set amid the sensational Vitsios beech forest, this ski resort is located approximately 20 kilometers from Kastoria, in northern Greece. It offers an off-piste route over virgin snow as well as four slopes. There is one for children and a difficult, one-kilometer slope, part of which is set aside for snowboarding. In addition, there is a classic, 1.7-kilometer route and a renowned 3.6-kilometer slope known as the Arkouda, or “bear”, which offers a view of Kastoria. The resort’s lowest level is at an altitude of 1,400m, while the top end is at 2,020m. The regional skiing club trains at this facility, which hosts competition and other events. Accommodation is available at a retreat. Kaimaktsalan offers skiers nine slopes ranging from low to medium difficulty. With its highest ski lift reaching 2,470 meters, Greece’s highest-altitude ski resort has become particularly popular in recent years as a result of the region’s wider development. It offers skiers nine slopes ranging from low to medium difficulty, six ski lifts (two for children) as well as an artificial snow system. The resort includes a snowmobile route, which, it should be noted, is not available this winter season. Snowkiting, as well as snowcat rides around Profitis Ilias church – located at 2,524m and offering an incredible view of a considerable part of mainland Greece as well as the neighboring Former Yugoslav Republic of Macedonia (Fyrom) – are also available. The popular snow bar at the bottom of the ski lifts is a bonus. Facilities: Snow bar, chalet, skiing and snowboard lessons, equipment rental stores. Lift ticket: €15 on weekends, €10 on weekdays. Afternoon tickets (after 13:00): €10 on weekends and €7 on weekdays. Discounts for students, beginners, competitive skiers, families. Vasilitsa is the ideal ski resort for adventurous snowboarders. This is the favorite ski resort of adventurous snowboarders for many reasons: the beauty of the forestland at the heart of the Pindos mountain range (Greece’s most extensive), the good facilities on offer, a wide variety of slopes, as well as the off-piste points featuring natural levees, which serve as exceptional action areas. The ski resort is located between two mountains, Vasilitsa and Gomara, and features 19 slopes of all degrees of difficulty, two of which meet Olympic standards. The 19 slopes measure 22 kilometers in total and are considered natural as the surrounds have been only slightly touched during the development of the ski resort. It operates seven ski lifts, including two for children. The regional mountain climbing society’s retreat is located nearby. The snow quality is exceptional and the snow cover lasts many months. Facilities: Two chalets, skiing and snowboard lessons, equipment rental stores. 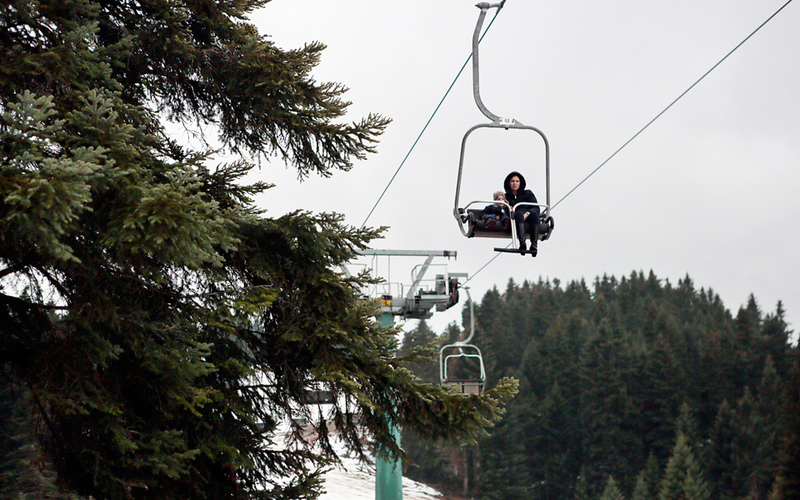 Lift ticket: €13 on weekends, €10 on weekdays, student discounts. Elatohori offers a fabulous panoramic view of the Halkidiki peninsula, Mount Athos, and the northern part of Mount Olympus. Facilities: Three chalets, skiing and snowboard lessons, equipment rental stores. Lift ticket: €12 on weekends, €8 on weekdays. Afternoon tickets (after 13:00): €8 on weekends and €6 on weekdays. Student and family discounts. Spanning altitude levels that range from 1,410 to 1,974m, the Elatohori ski resort in the Pieria Mountains, in northern Greece, enjoys a fabulous panoramic view that takes in the Halkidiki peninsula, Mount Athos, and the northern part of Mount Olympus. It offers eight steep slopes, two of which are brand new and thrilling, according to skiers. One of the eight slopes is ideal for beginners. It measures a total of seven kilometers in length and is mildly angled. A 500m snowpark is also available for snowboarding. The resort is equipped with five ski lifts, three restaurants, including a popular snowbar at the top. 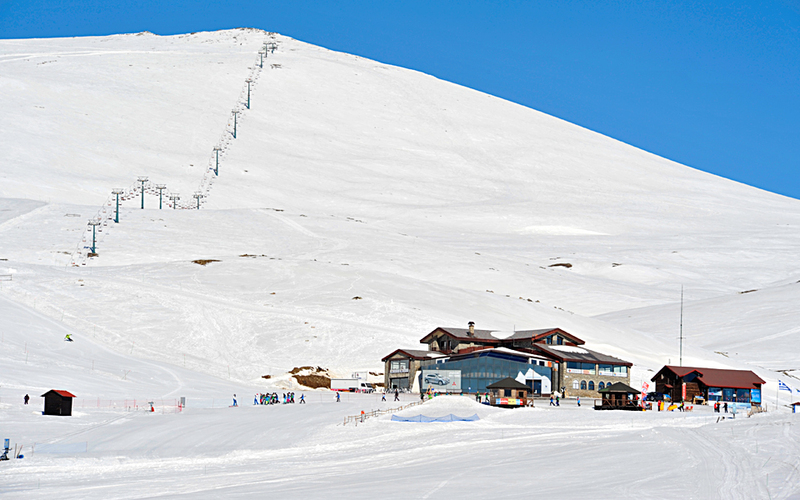 Pisoderi, one of the Greece's oldest ski resorts, has constantly evolved and remains popular. Lift ticket: €15 on weekends, €12 on weekdays. Afternoon tickets (after 13:00), €12 on weekends and €10 on weekdays. Student discounts. Situated at an altitude of 1,560m between the Verno and Varnoudas mountain ranges, the Vigla-Pisoderi ski resort in northern Greece, one of the country’s oldest, has constantly evolved and remains popular. Three brand new slopes have been added, making a dozen in total. Two of these are among Greece’s longest – 5.5km and 6km – and start at an altitude of 2,000m before concluding at Pisoderi village. The other new slope, perfect for snowboarding, is set over an untouched area and is ideal for freestyle maneuvering. 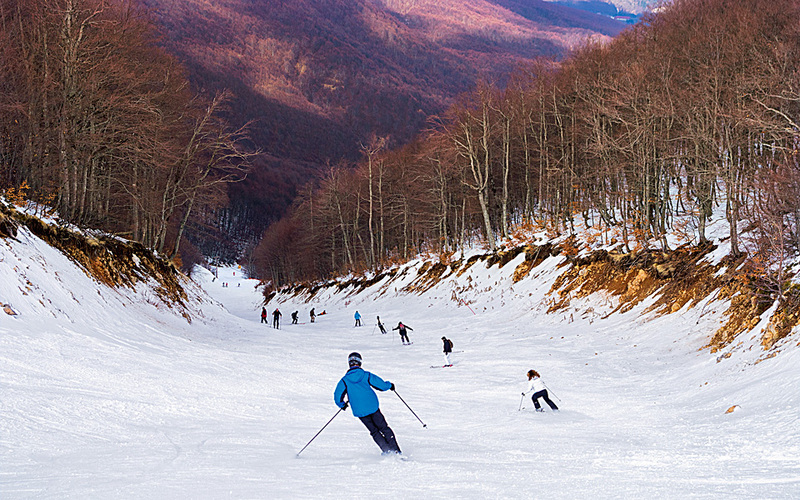 The resort’s Olympic-standard slope, which also enjoys a fine reputation, ranks as one of Greece’s best because of its width, exhilarating variety and angles. The night skiing slope, nearly 1.4 kilometers long, is also renowned. The resort’s location, next to the Florina–Kastoria national highway, which is constantly kept clear of snow, is a definite bonus. So, too, are the sleds and snowmobiles on offer, the snow tubing, the ski bus used to transport skiers to more remote parts around the mountain top, and the two chalets, one of which contains accommodation. The ski resort at Pertouli is particularly popular among families as it offers a complete experience for young and old. 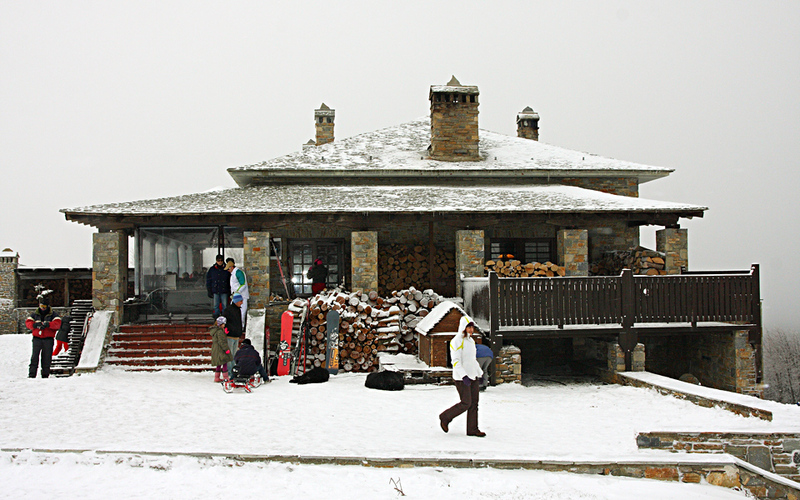 Easily accessible due to its location, next to the Trikala–Arta national highway, which is rarely closed due to snowfall, the small ski resort at Pertouli is particularly popular among families as, besides its convenient and safe positioning, it offers a complete experience for young and old. The resort has three slopes, all of medium difficulty, and thee ski lifts, one of which is for children, as well as night skiing. Sleds, snowmobiles, quads, bicycles and horse riding are also available outside the ski resort, but still within the fir forest. Lift ticket: €10 on weekends, €7 on weekdays. Student discounts. 3-5 Pigadia attract skiers from northern Greece as a result of their close proximity to the northern cities. These two ski resorts on the slopes of Mount Vermio are a major draw for skiers in northern Greece as a result of their close proximity to Thessaloniki, close distances from the northern provincial cities of Veria and Naousa, as well as their well-kept facilities. The Seli resort offers seven ski lifts and three children’s lifts, five slopes – only one of which is difficult – two off-piste courses ideal for snowboarding as well as a cross-country course that passes through the forest. Quad and snowmobile rentals are available. The 3-5 Pigadia ski resort is equipped with six ski lifts, one which is a children’s lift, and offers seven slopes covering all degrees of difficulty. They measure 10 kilometers in total. Three cross-country courses, as well as snowmobile and sled rentals, are also offered at the resort, which uses artificial snow machines. A hotel with restaurant and two chalets operate on site. Lift ticket: €14 on weekends, €10 on weekdays (at Seli) • €16 on weekends, €12 on weekdays;afternoon tickets (after 12:30): €12 on weekends and €8 on weekdays (at 3-5 Pigadia). 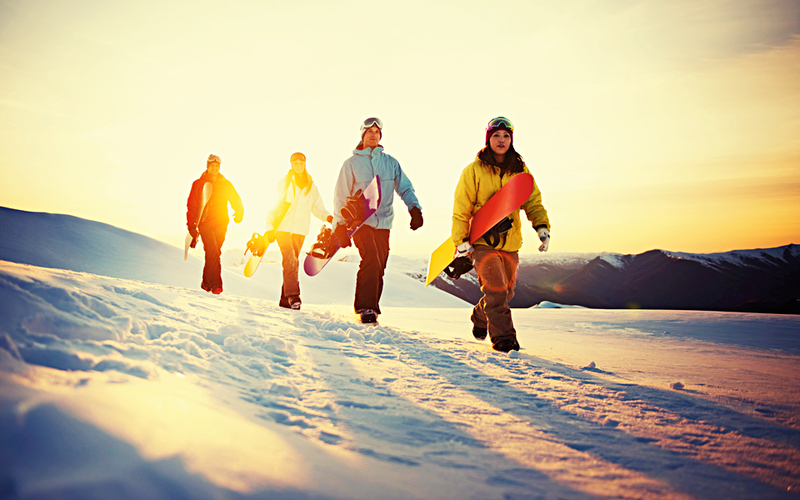 Discounts for students, competitive skiers and beginners at both ski resorts. Most ski resorts offer live webcam coverage and daily online updates. The price details listed above apply when the resorts are operating at full capacity and are all based on information provided by the resorts. Most offer discounts to holders of Snow Report cards issued by, a site offering daily updates on Greek ski resorts. These updates are also available via text message. Imposing architecture and fairy tale charm in Mani. Sign Up for Premium Content, Special Offers & More. © 2019 GREECE IS, KATHIMERINES EKDOSEIS S.A.